The last two decades have seen rapid progress in relation to animal testing on consumer products and ingredients. Most consumers are more aware of its unreliability and increasing irrelevance, and know what suffering it causes. Alternative testing methods are being developed and adopted and customers are demanding cruelty-free cosmetics in particular. The EU, India and Israel have already outlawed both testing cosmetics on animals and importing animal-tested products, while countries not far behind include Taiwan, Australia and the US. So a legal breakthrough in China last year was both cause for celebration and a wake up call to many. China was still requiring all cosmetics sold within its borders to be safety tested on animals. In July 2014 the China Food and Drug Administration (CFDA) delighted animal rights campaigners worldwide by making animal testing no longer mandatory for fragrances, make-up, skincare or hair and nail care products manufactured and sold inside China. Domestic manufacturers will be permitted to test their products using the available alternative methods. Hair dyes, deodorants and sun screens remain subject to mandatory animal testing, as do imported cosmetics. So China’s outdated policy still prevents scrupulous cruelty-free brands like Lush from selling in China, while mainstream brands still face the dilemma that caused ethical shoppers to reject Avon, Mary Kay and Estee Lauder when it emerged that, while not using animal tests for other markets, they still allow their products to be tested on animals for sale in China. Around 300,000 animals are used annually to test cosmetics in China, and eligible companies could now spare 10,000 of them. But animal advocates hope this is just the start. Peter Li, PhD, China policy adviser for the US-based Humane Society International, behind the global Be Cruelty Free Campaign, called the announcement “hugely significant” in its acknowledgement of the global trend towards cruelty-free cosmetics, and Chinese animal advocacy organisations have urged the CFDA to move further toward a ban. The next logical step would be to remove the requirement for animal testing of imported cosmetics and replace random post-market animal testing with in vitro-based tests. China could quickly become a major market for cruelty-free cosmetics and a significant cruelty-free producer and exporter, and could lead the development of high-tech non-animal research methods. Despite a substantial cruelty-free market, the US is among the majority yet to ban this cruel practice. The US National Research Council advocates replacing animal tests with ’21st Century Toxicology’ for quicker, cheaper and more species-relevant testing. Advances in biology, genetics, computer science and robotics mean computer technology and robotic test can now provide more detailed and relevant insights into human toxicology. Yet many US companies still test on animals. The problem in many countries is that legislative changes take time and so research practices become deeply entrenched despite significant shifts in both available technology and public attitudes. Most of the world’s countries still allow animal testing, and many scientists previously required by law to test on animals won’t consider the alternatives until they become either mandatory or the only permitted option. A Humane Cosmetics Act (H.R. 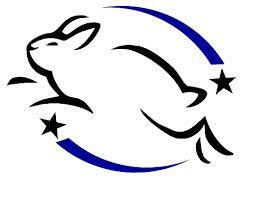 4148), to make conducting or commissioning animal testing for cosmetics illegal and ban the sale of animal tested products, is currently before the US Congress. In Australia’s parliament the Green party has introduced a similar private members bill. In Taiwan public awareness of the issue was not widespread until last year, but the resulting story is perhaps the most inspiring. Taiwan Society for the Prevention of Cruelty to Animals (TSPCA) launched Be Cruelty-Free Taiwan in March 2014 with a ‘bunny street team’ in Taipei, handing out flyers and free carrots to spread the message. By June TSPCA was already announcing plans to work with Legislator Wang Yu Min to draft a new bill ending cosmetics animal testing in Taiwan. And spread the word – there are still some people who don’t realise the real cost of their face creams.